Earlier I learned that osmosis was, like diffusion, a result of the laws of entropy, kinetic energy, and random movement. However, if you have two solutions of equal moles of water, then net movement should be zero, right? 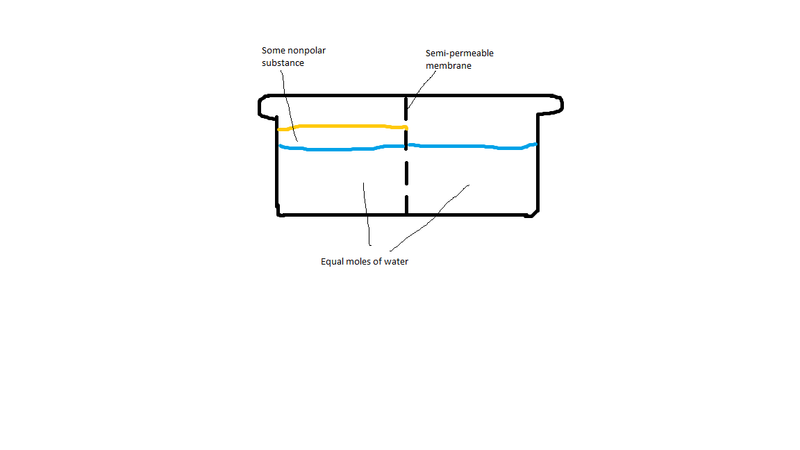 In the case above with equal moles of water, if you now have a semi-permeable membrane (allowing only water molecules to cross) and solutes dissolved in the water (at difference concentrations), then there would still be net movement of water molecules towards the concentrated solution. There was an explanation in my AP Bio textbook that the water molecules hydrating the solutes were unable to pass through the membrane, so net movement occurs because of a difference in free water concentration. Now I am just wondering what would occur if you had a nonpolar molecule instead of a solute. Would the arrangement simply remain at this? I just wanted to see if I truly understood this concept. Your example with the no-polar substance wouldn't qualify in a discussion of osmosis. There needs to be a solution on at least one side of the membrane. Since a typical non-polar substance would be insoluble in water, osmosis would not apply. However, in your diagram, water would move from left to right due to a concept called pressure potential. You will eventually learn about this in AP Bio (I taught it for 24 years.) Pressure potential and osmotic potential work together, in a concept called water potential, to calculate which way water will move across membranes. 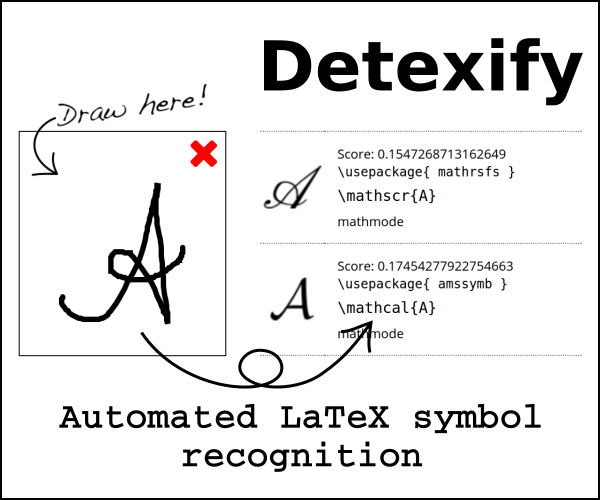 You will probably perform a lab utilizing this concept this year. Pressure potential, in your example, is just a fancy term stating that because both the atmosphere and the non-polar substance on top of the left side are greater than just the atmosphere pushing down on the right, water will move to the right.